Static, Boring Message from People Wearing Coats, Ties and Fake Ronald McDonald Smiles? Walking up to Mt. 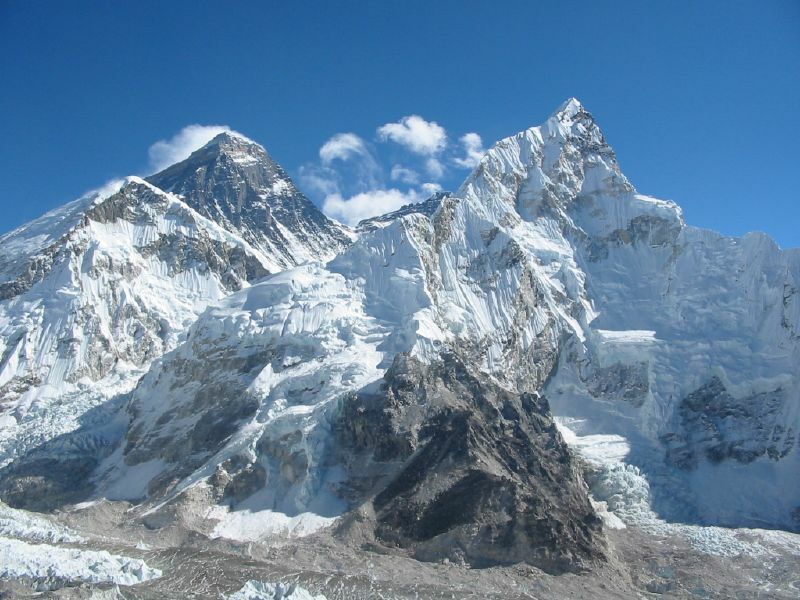 Everest, hikers and climbers never ask, "Where's Mt. Everest?" They know to expect grandeur and awe when gazing at the mountain. People often approach the mountain differently. Many set their efforts to climb to the peak and others enjoy finding pictures on the web to browse. No matter the approach, one thing stays the same, Mt. Everest is always there. Weather patterns change, rocks fall, people come and go from elevation camps, animals roam about and even people's travel methods to get there change. Regardless, Mt. Everest is there. Ask yourself, "Is the gospel message there, in our children's ministry?" Read more about Static, Boring Message from People Wearing Coats, Ties and Fake Ronald McDonald Smiles? Transparency. Do you see it lived out in the lives of others around you? What about you? Me? Can You See Through Me? It is not an easy thing yet I believe that God wants us to be transparent and real with one another. As a parent and teacher, transparency can be truly amazing! Read more about Can You See Through Me? A group of ladies and I were having lunch one afternoon enjoying good friends, good Mexican food and great conversation when one asked somewhat randomly, ‘What do you look forward to most in heaven?’ The responses of the ladies were as different as the ladies themselves. One replied she looked forward to the absence of sin and temptation to sin. Another replied she looked forward to talking to some of the great men and women of the bible. Still yet another commented how she looked forward to hearing God’s voice. As for me, I look forward to gazing into the eyes of Jesus and hearing Him call my name. Have ever wished you could see God? Hear His voice? Know for certain you are leading as He wants you to lead? Entering the room immediately put me in a fiesta mood. The room buzzed with laughter and excitement as we stood in the buffet line waiting to fill our plates with Mexican fare. A mariachi band wandered around the room serenading us as we ate. I had looked forward to this night since I received the invitation…. Read more about Jesus Loves Me! Looking at the flannel graph through my young eyes during the morning Sunday school lesson, questions rang out from the other kids asking if they may stick the next figure onto the board. Loud answers to the teacher's questions filled the room. Our tummies growled for snack time and our energy increased for playground time. Could You Give Me a Hand? I doubt that any one would disagree that our hands are a useful part of our body. The question is: are they useful to God? Jesus lived a life of love by extending His hands to show love to others. Read more about Could You Give Me a Hand? Have you ever composed an email with the best of intentions only to have it received the wrong way by the intended recipient? That happened to me not long ago. I was asked by one (via email) to comment on my experiences with some particular teachers. I replied (via email) with some positive remarks about the teachers in question and added a couple of comments of my own. The recipient of the email read more into my comments than I intended and walked away from that email deeply offended and very upset with me. Emails can be tricky things. Sometimes, people read into emails something other than what the author intended. Welcome to Heartprints… Why Heartprints? In my lifetime, I’ve had the opportunity to live out in the country two times and with life in the country come certain inevitabilities; one of those is field mice. Much of my early married life was spent living on Offutt Air Force Base just outside Omaha, NE. Not far from base housing a corn field provided certain field mice a pleasant home for the spring and summer months. In early October, just after the first freeze, these furry little creatures sought warmer shelter indoors and inevitably, one or two found its way into our home.